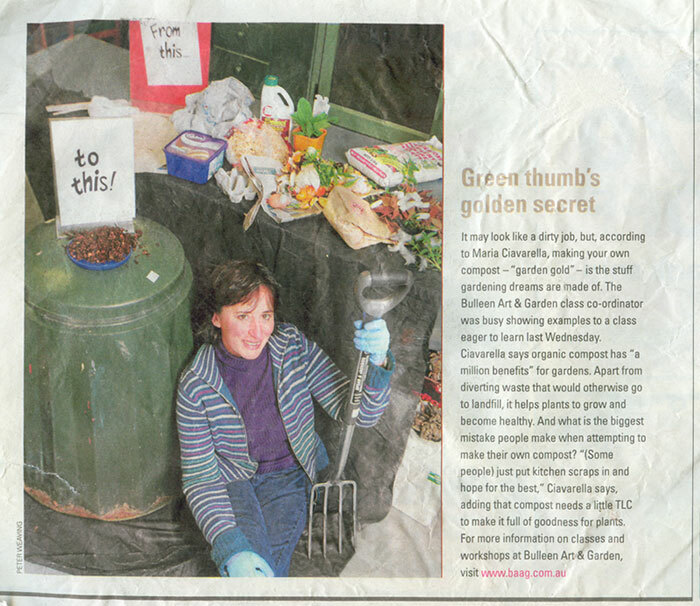 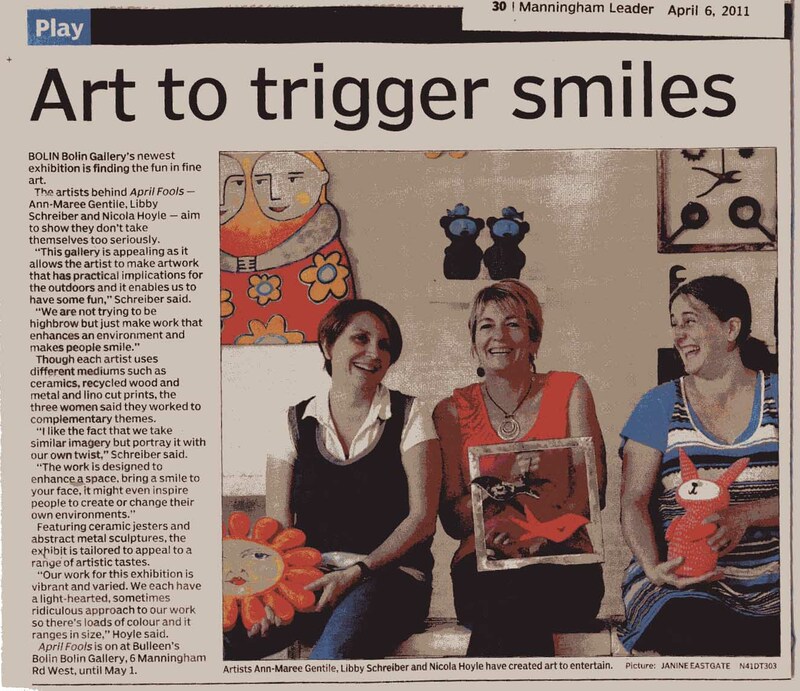 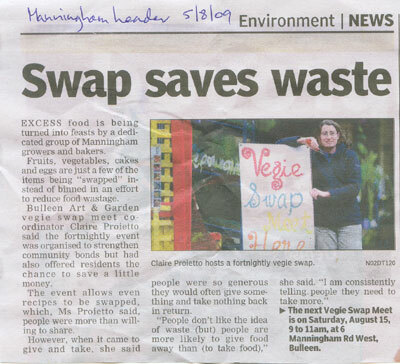 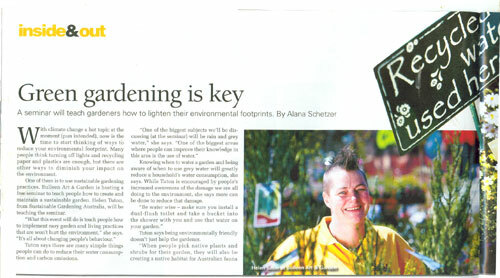 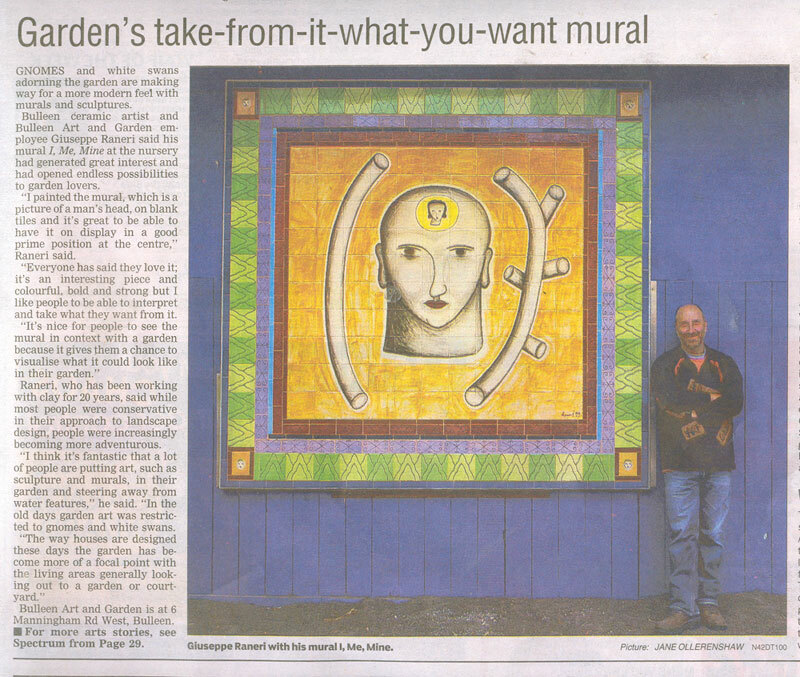 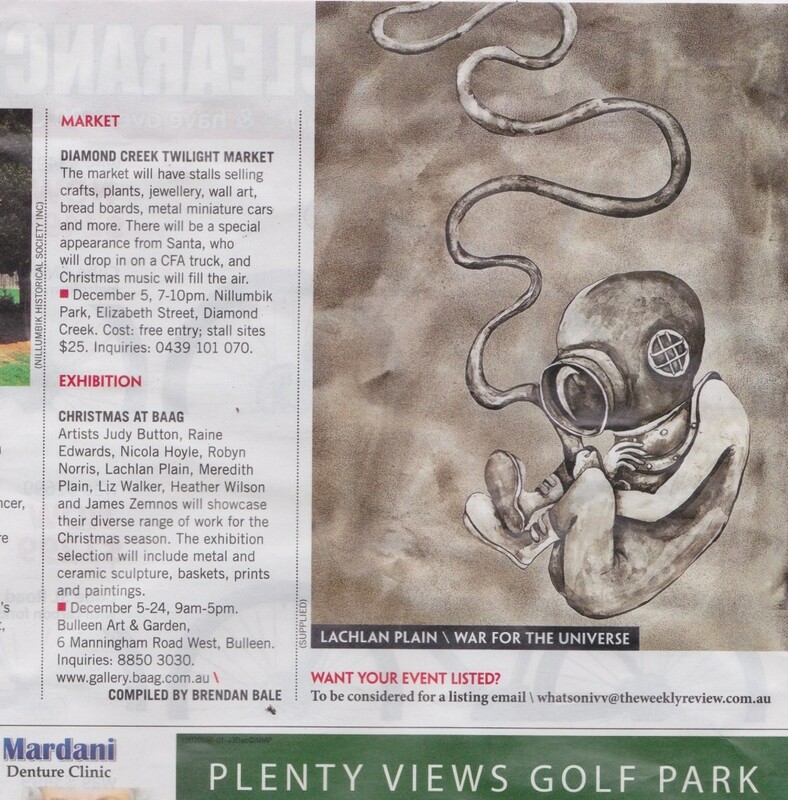 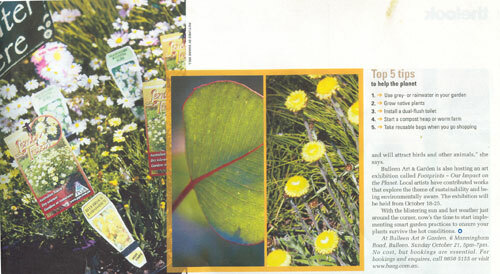 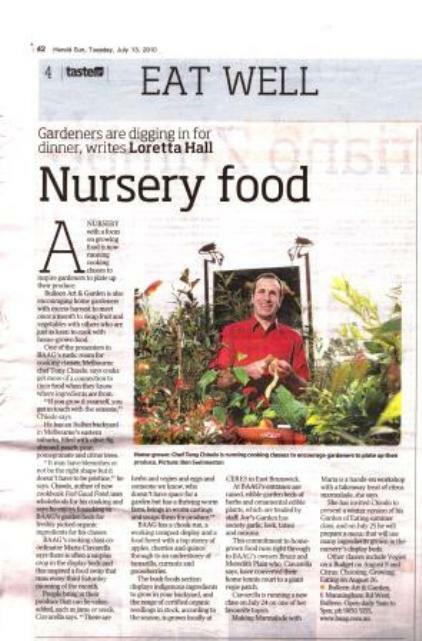 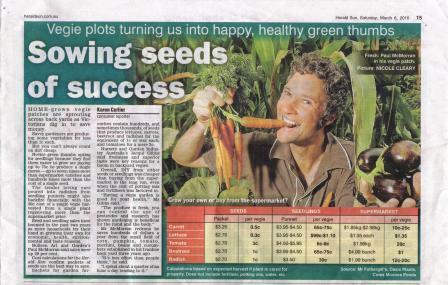 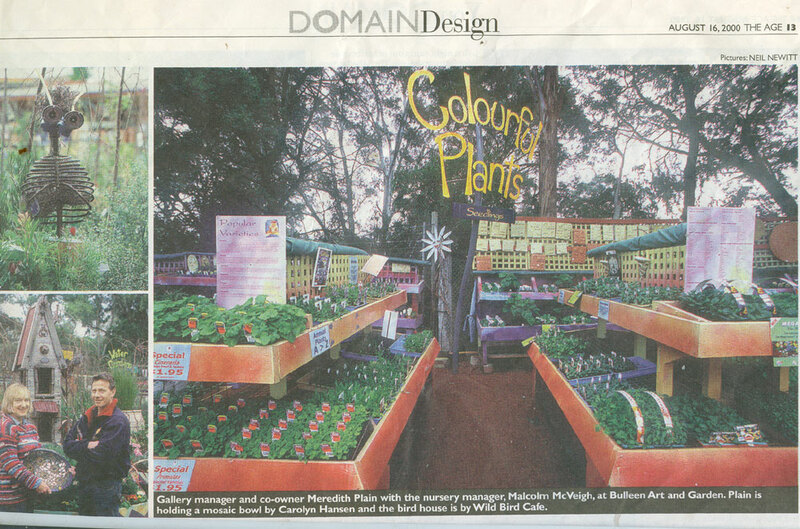 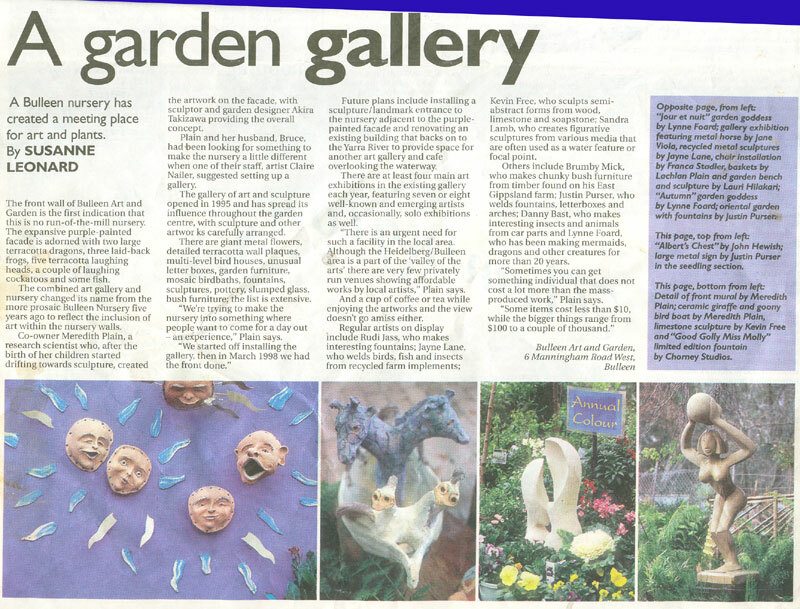 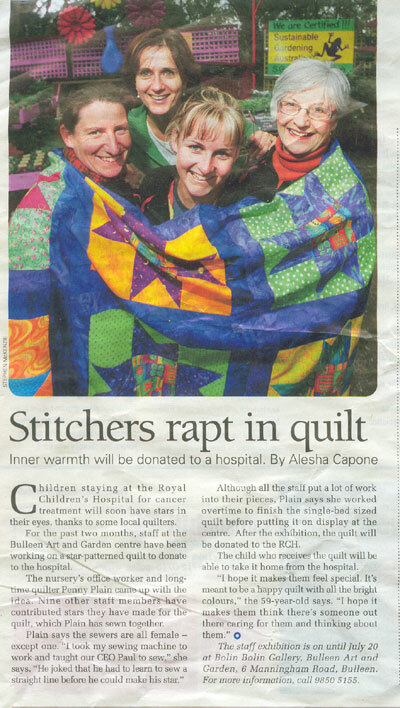 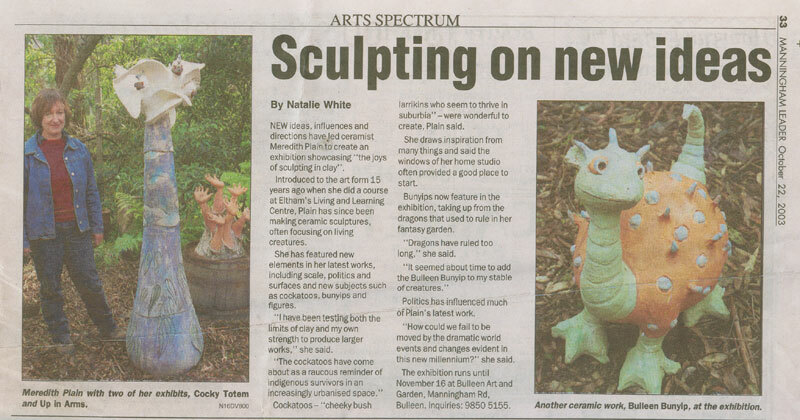 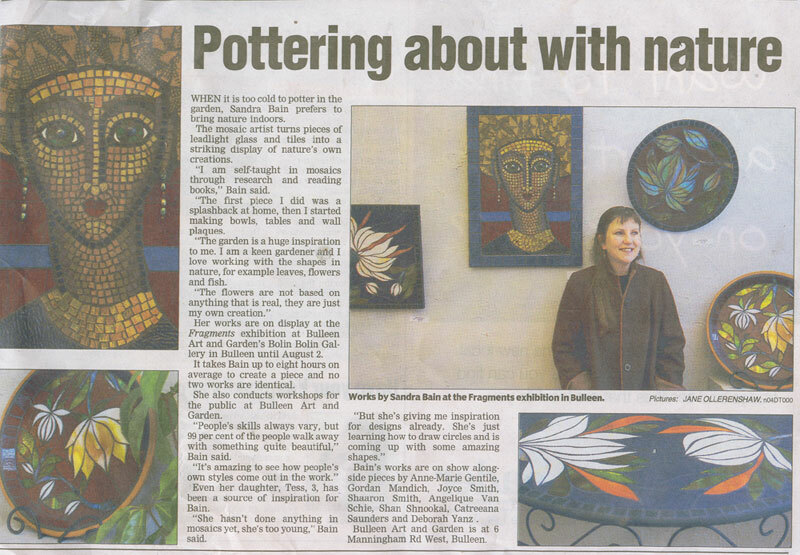 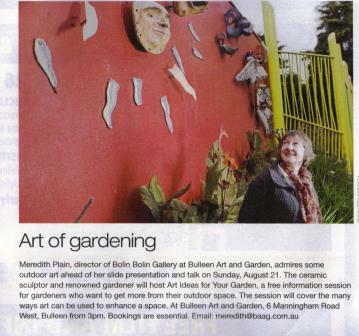 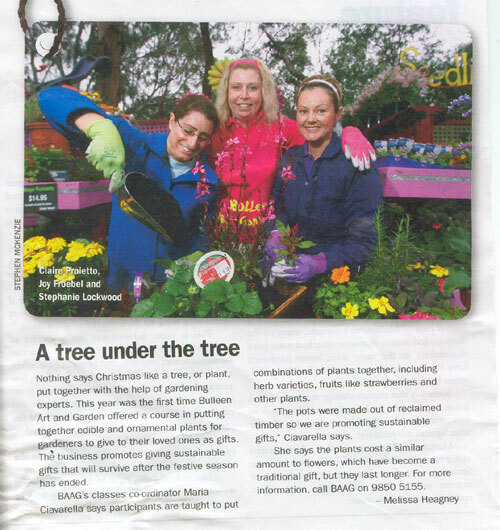 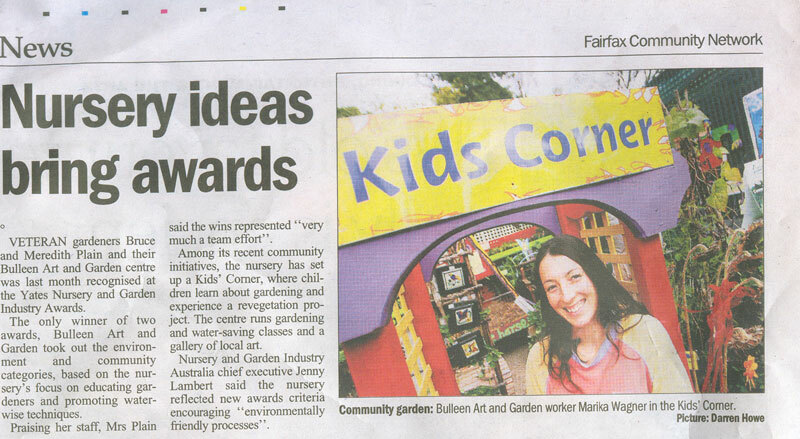 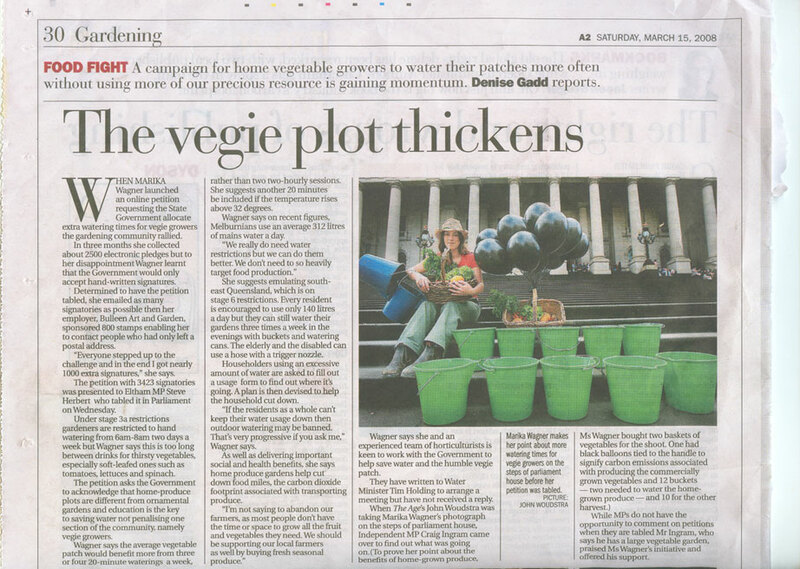 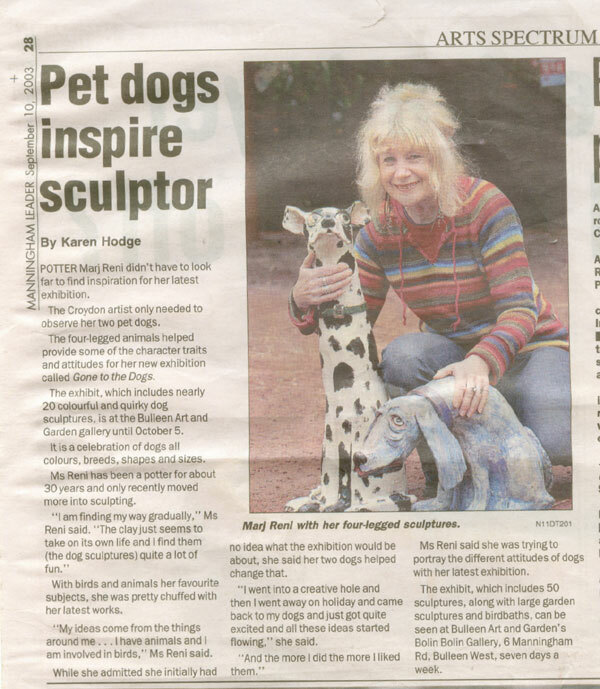 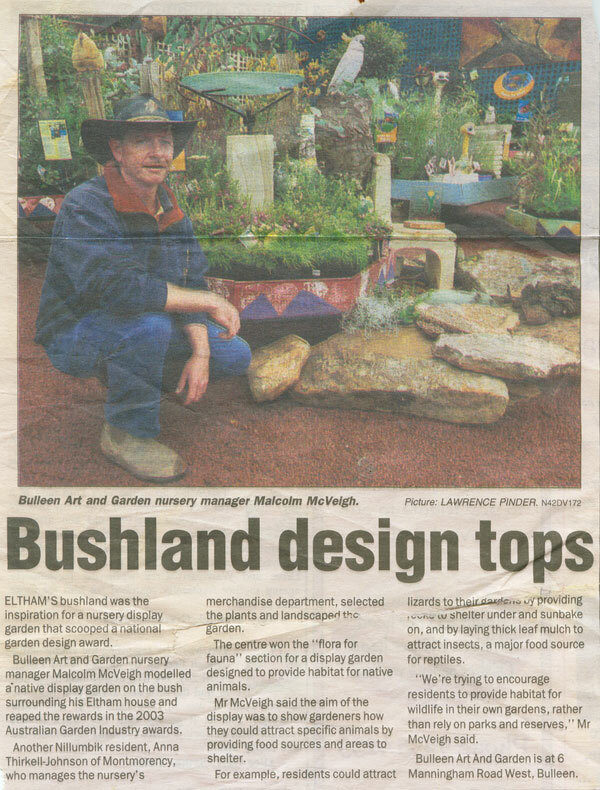 Attractions & events at Bulleen Art & Garden often get recognised in the media. 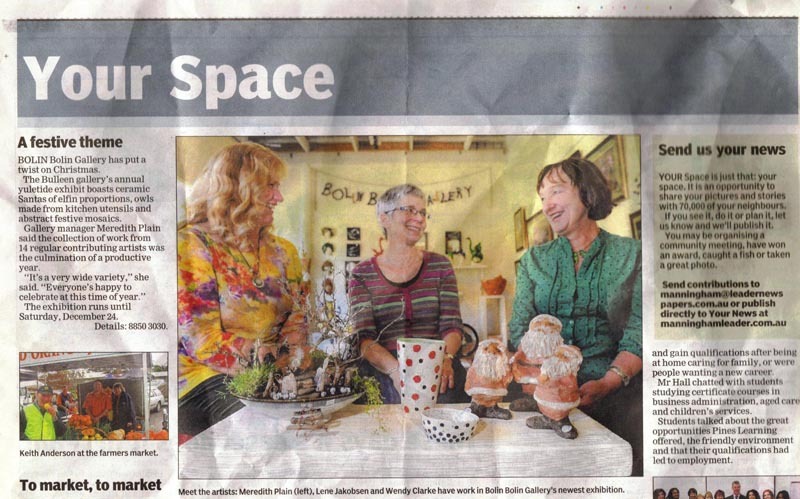 Juliet Widdows, Laura Windmill, Judi McCrum and Sharon Twining will be exhibiting their work at the Clay Connections exhibition at Bolin Bolin Gallery at Bulleen Art & Garden until September 16. 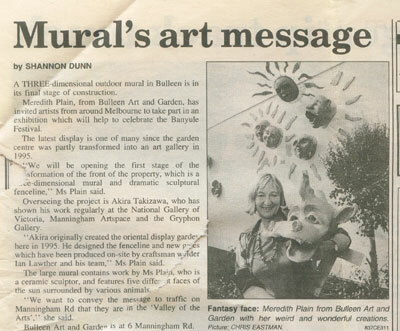 LAURA Windmill believes in fairies and says the big red glazed ball she created in her pottery studio is proof of their existence. 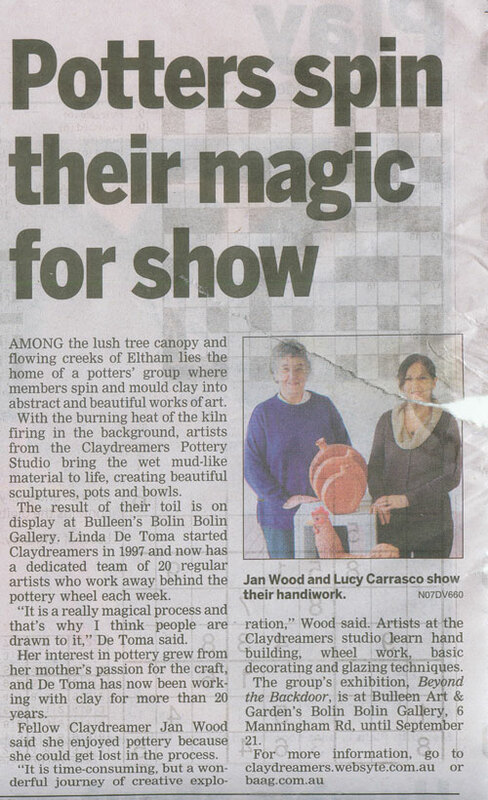 “The kiln fairy was smiling on me,” Windmill said. 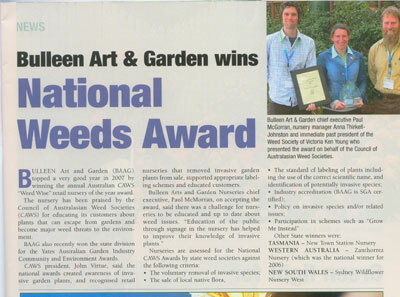 She explained her work was often experimental using combustible materials such as seaweed and coffee grains. 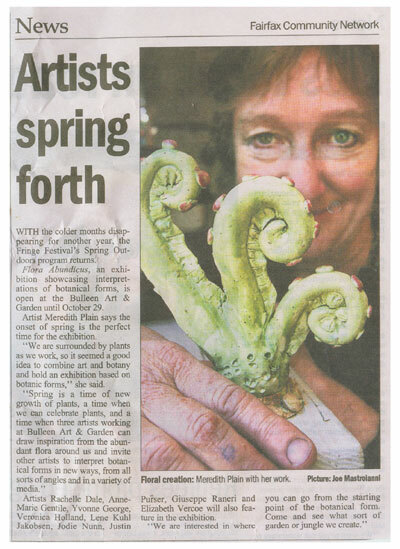 “I’ll have an idea of what effect I will get, but not how it will come out,” she said. 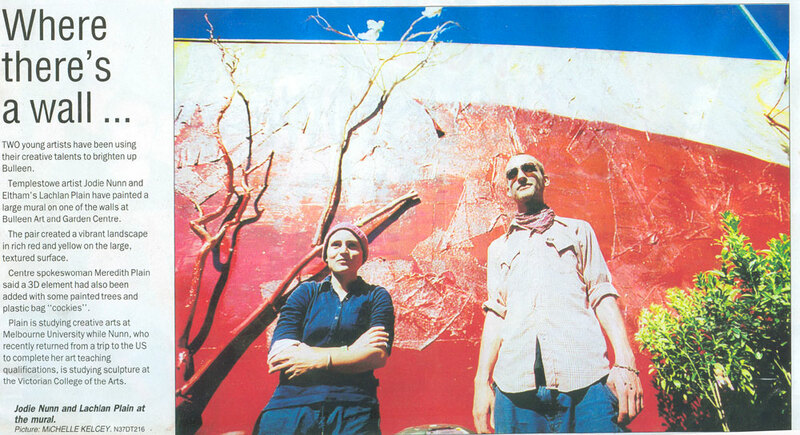 “It can be very unpredictable. 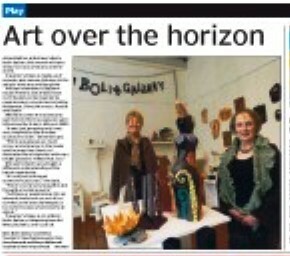 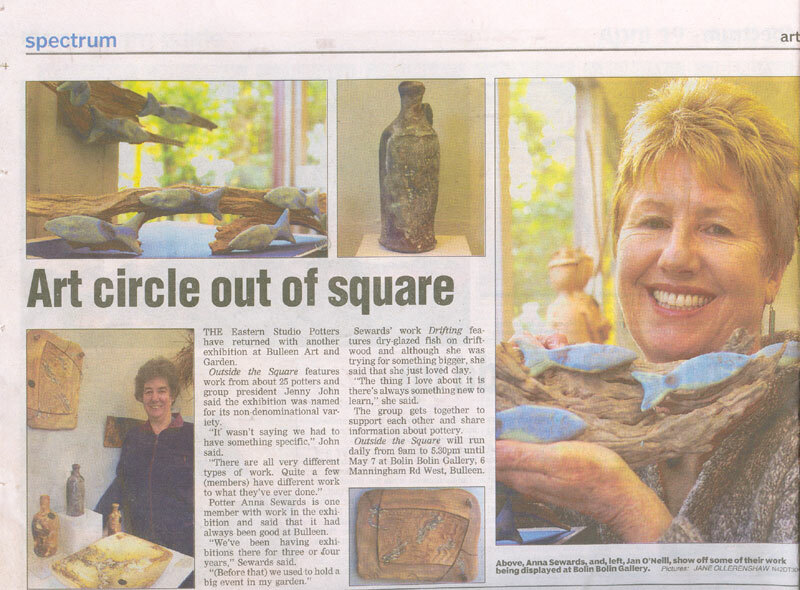 Windmill is among eight Valley Potters artists exhibiting at Bolin Bolin Gallery at Bulleen Art & Garden. 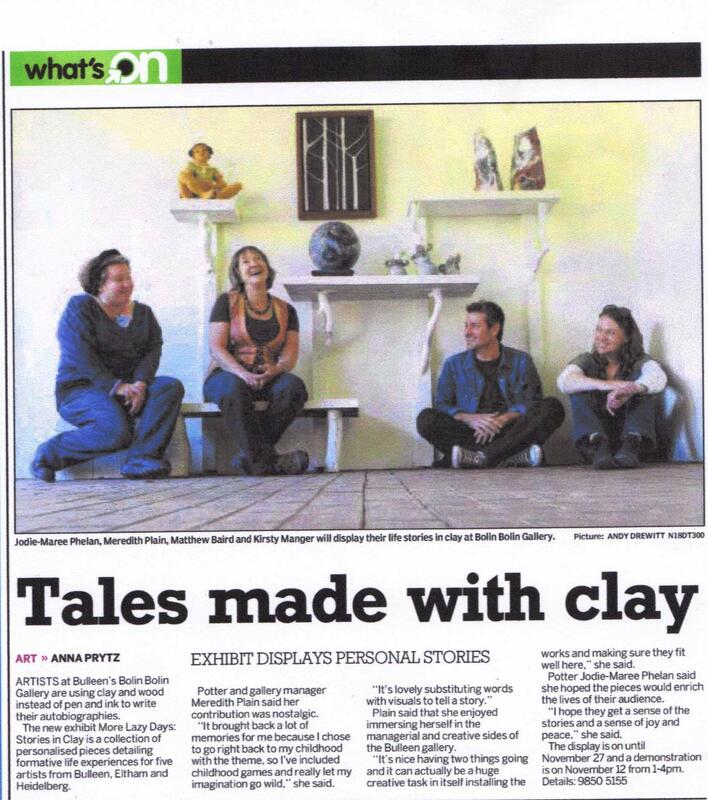 Clay Connections works, which are also for sale, range from functional pieces to creative, more abstract art. 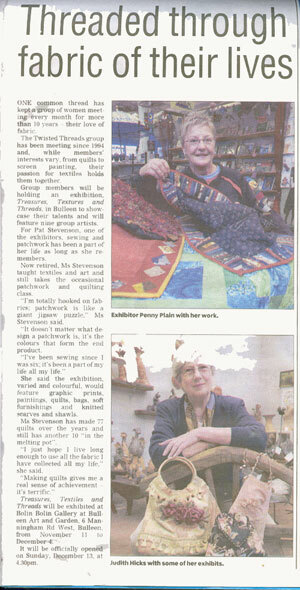 Sandra Bain‘s works are featured in amosaic exhibition at Bundoora Homestead. 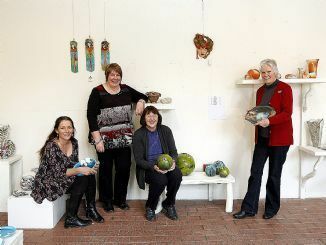 THORNBURY’S Sandra Bain is an expert at turning pieces of glass and ceramics into works of art. 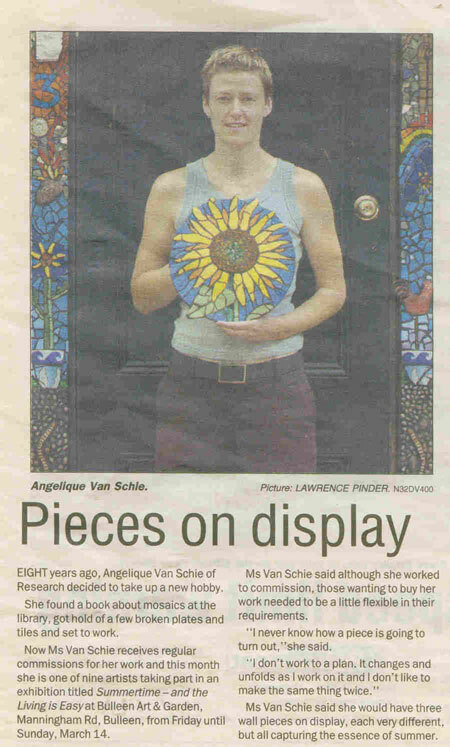 The skilled mosaic artist, a teacher at Bundoora Secondary College, has contributed work to an exhibition being held by the Mosaics Association of Australia and New Zealand at Bundoora Homestead this month. 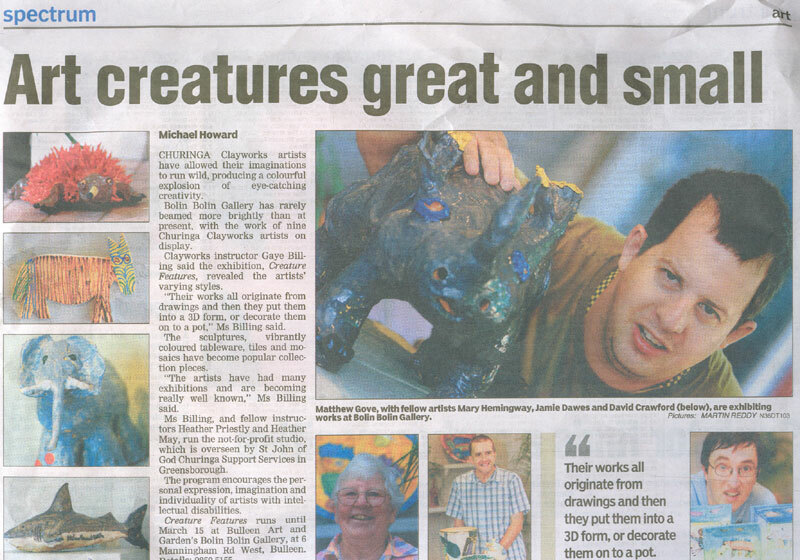 Some artists apply different glazes while others use the hand-styled raku method. 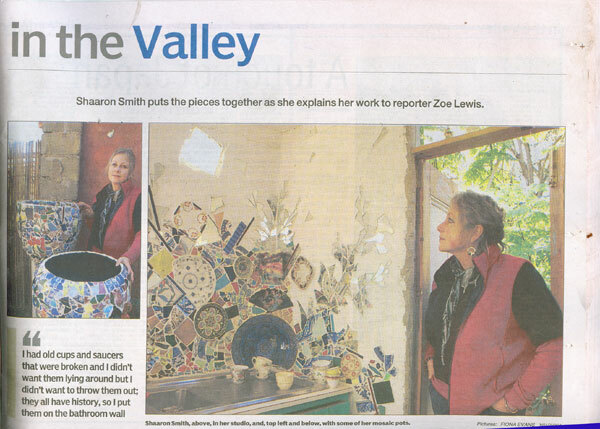 It is the first time Valley Potters, which was formed in 1978, has exhibited at Bolin Bolin Gallery. 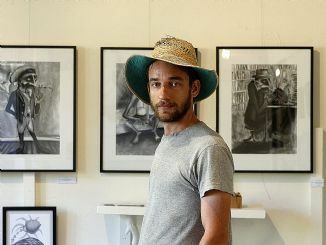 “We are a pretty diverse group,” Windmill said. 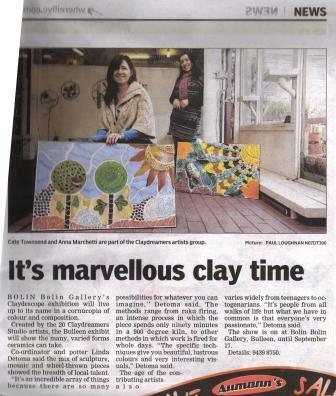 Clay Connections is at Bolin Bolin Gallery, Bulleen Art & Garden, until September 16.